The TU833 MTU can have up to 16 I/O channels and two process voltage connections. Each channel has two I/O connections and one ZP connection. The process voltage can be connected to two individually isolated groups. Each group has a 6.3 A fuse. 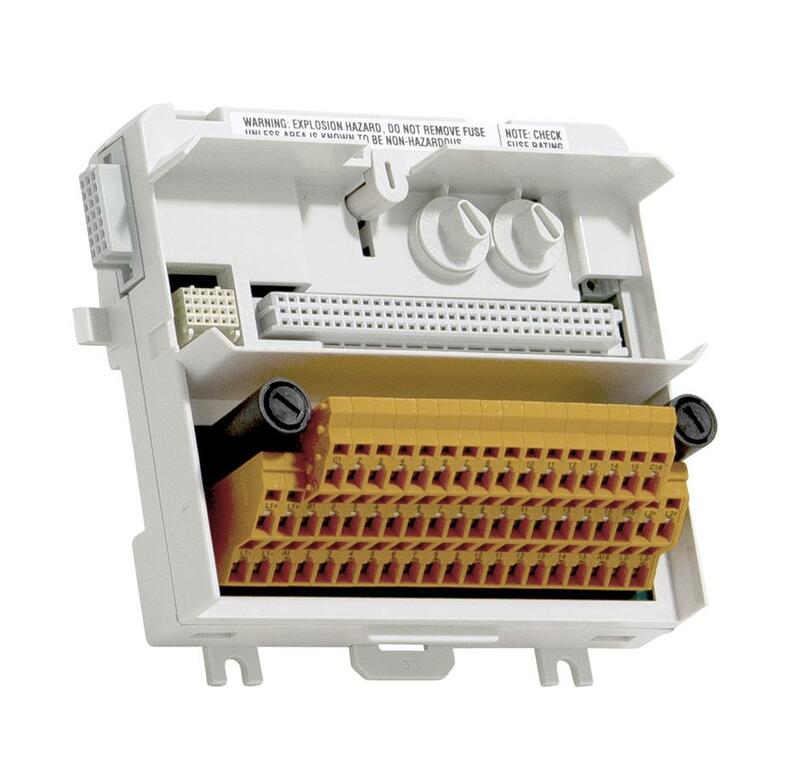 The maximum rated voltage is 50 V and maximum rated current is 2 A per channel. It is recommended that the fuse rating be chosen to meet the applications needs, see S800 I/O Getting Started chapter Power and Cooling. The MTU distributes the ModuleBus to the I/O module and to the next MTU. It also generates the correct address to the I/O module by shifting the outgoing position ignals to the next MTU.